A divided National Labor Relations Board held Thursday that workers have a right to use their employers' e-mail systems for non-business purposes including communicating about union organizing, overruling the labor board's 2007 Register Guard ruling and calling it "clearly incorrect." Law360, New York (December 11, 2014, 11:43 AM ET) -- A divided National Labor Relations Board held Thursday that workers have a right to use their employers' email systems for non-business purposes, including communicating about union organizing, overruling the labor board's 2007 Register Guard ruling and calling it "clearly incorrect." Ruling in a closely watched case challenging an electronic communication policy maintained by sign language interpretation services provider Purple Communications Inc., NLRB Chairman Mark Pearce, along with board members Kent Hirozawa and Nancy Schiffer, overruled the Register Guard's holding that employees had no statutory right to use employer email for activities covered by section 7 of the National Labor Relations Act. “Consistent with the purposes and policies of the act and our obligation to accommodate the competing rights of employers and employees, we decide today that employee use of email for statutorily protected communications on nonworking time must presumptively be permitted by employers who have chosen to give employees access to their email systems," Thursday's decision said. The majority called its decision “carefully limited,” noting that it applied only to workers who have already been granted access to their employer's email system, and that businesses may justify a complete ban on non-work use of email if it can point to special circumstances that make such a prohibition necessary. The Register Guard ruling — also a divided decision — gave short shrift to employees' right to communicate in the workplace about the terms and conditions of their employment and put too much weight on employer property rights, the NLRB said Thursday. The majority in Register Guard also “inexplicably failed to perceive” email's importance as a way to for employees to engage in labor law-protected communications, the majority in Purple Communications said, adding that that importance had increased dramatically during the 7 years since Register Guard was issued. Thursday's decision stopped short of finding Purple Communications' policy unlawful, remanding the question of whether the company violated the NLRA by maintaining that policy back to the administrative law judge who previously found it to be lawful. The CWA is represented by David A. Rosenfeld and Lisl R. Duncan of Weinberg Roger & Rosenfeld APC. 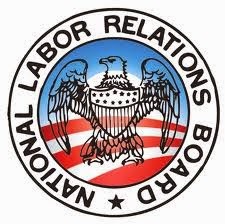 The NLRB general counsel is represented by Kayce R. Compton. Purple Communications is represented by Robert J. Kane of Stuart Kane LLP. The case is Purple Communications Inc. and Communications Workers of America, AFL-CIO; case numbers 21-CA-095151, 21-RC-091531 and 21-RC-091584; at the National Labor Relations Board.